Convenient everyday bag with an extra durable base. Can be carried by hand, on the shoulder or as a backpack and is perfect for your wallet, extra sweater, tablet and everything else you need to have close at hand throughout the day. 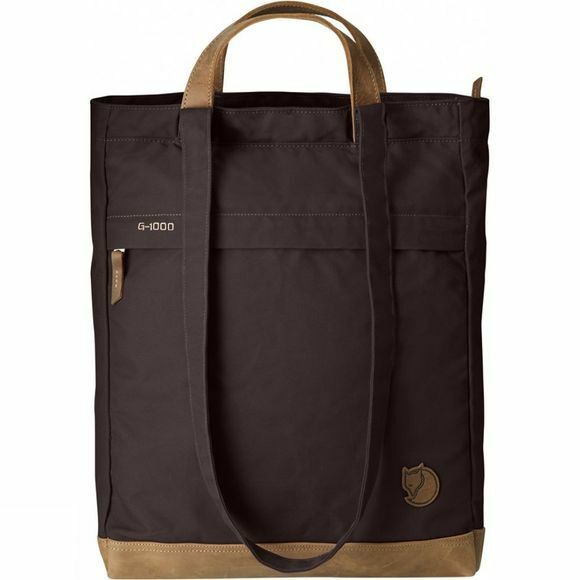 Made from robust G-1000 HeavyDuty that is hardwearing and just gets better looking the more the bag is used. The main compartment has a zipped opening and a little inner pocket for keys, wallet and other items you want to keep safe. There is also an outside zipped pocket, and the bag comes with a keyring on a textile strap. Short leather handles and long textile shoulder straps, the latter which can be adjusted so the bag can be carried as a backpack.